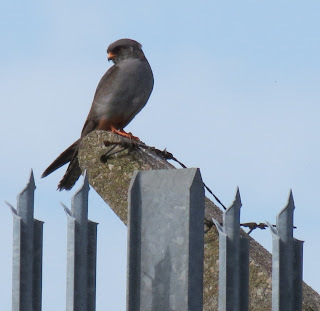 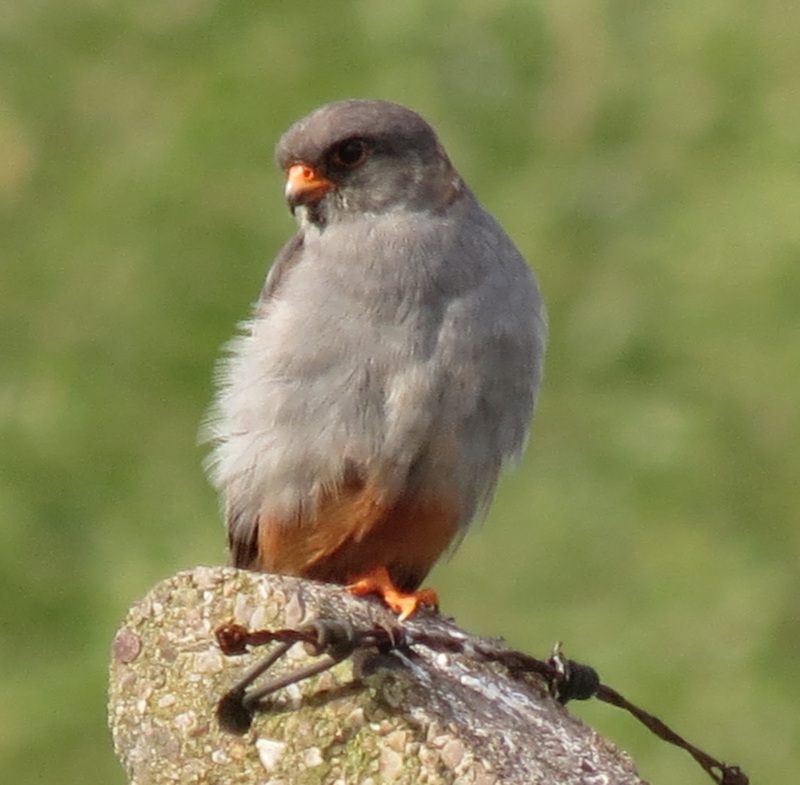 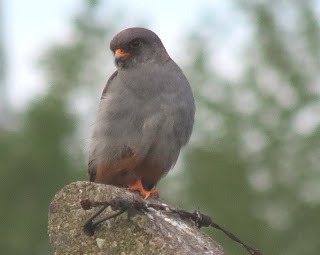 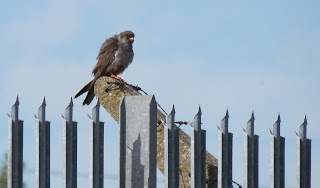 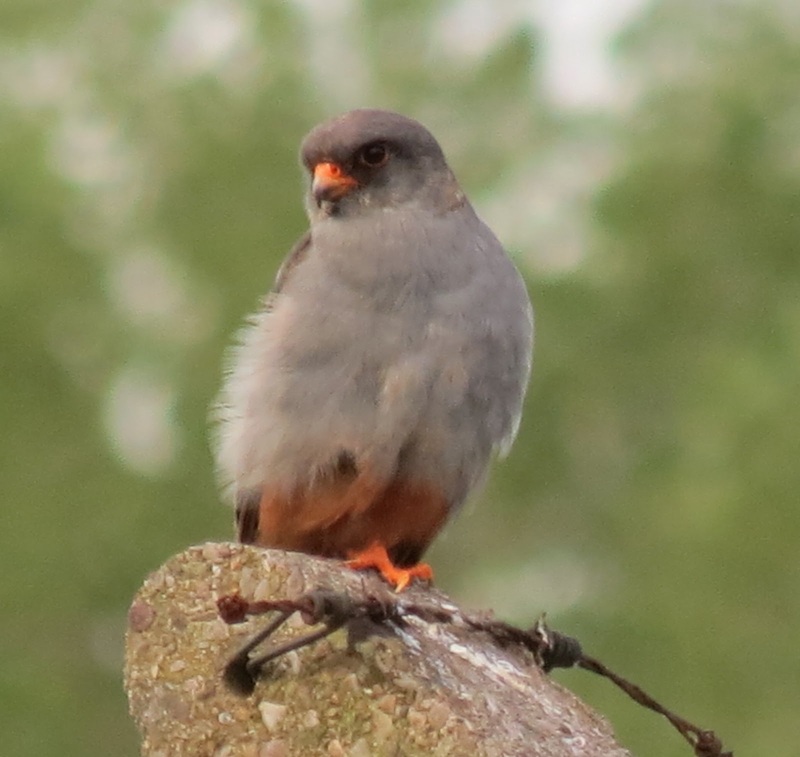 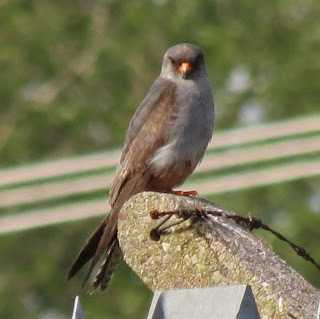 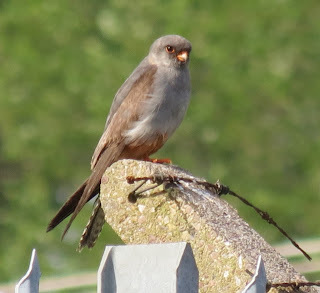 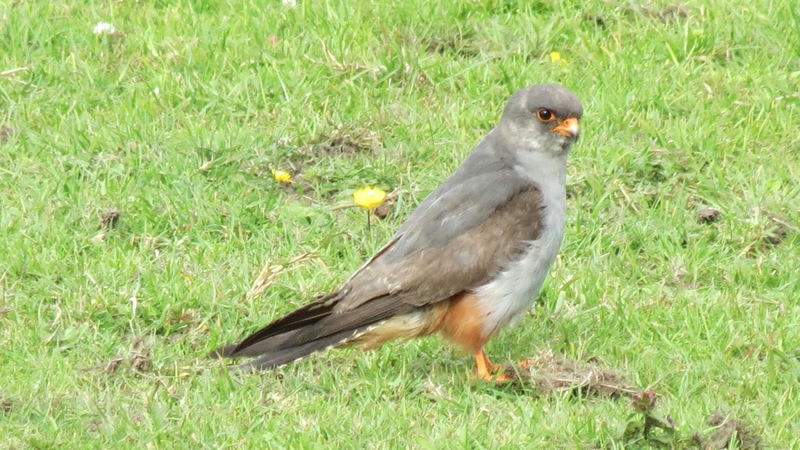 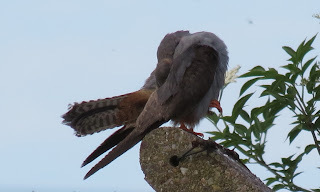 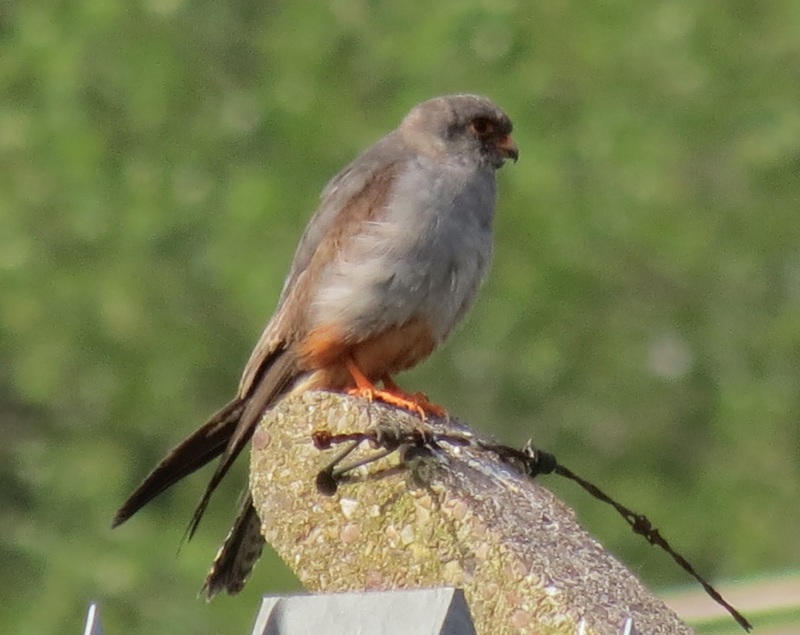 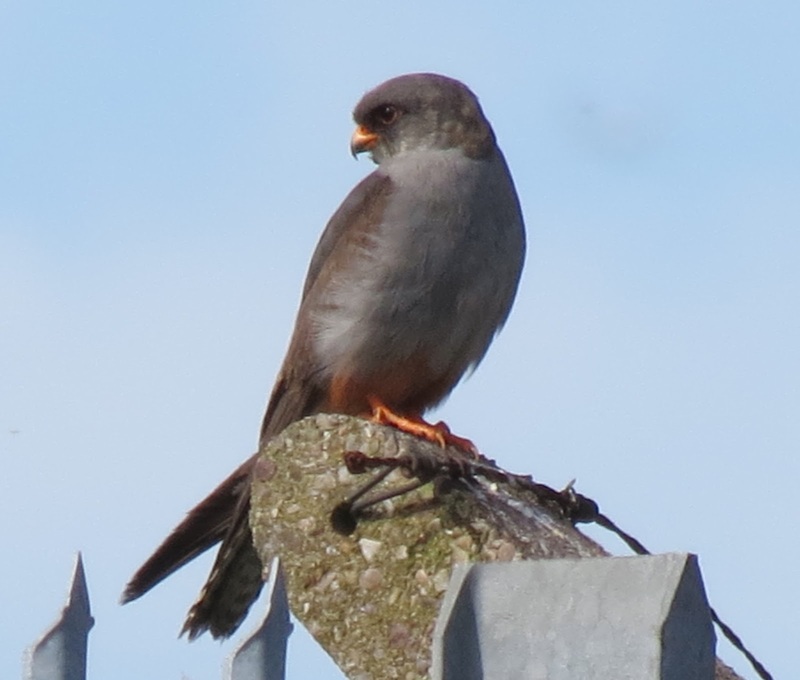 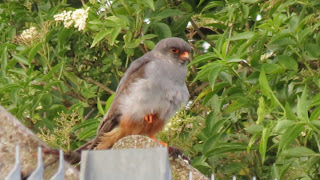 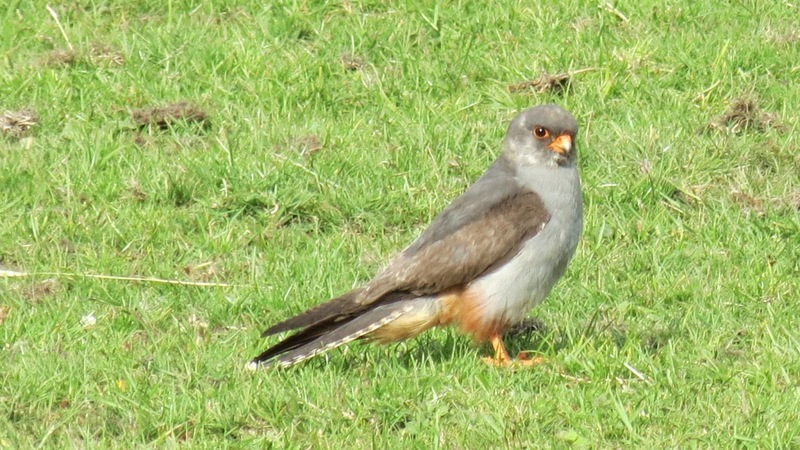 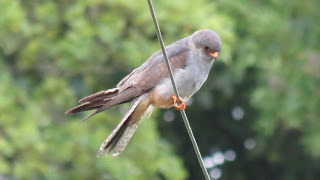 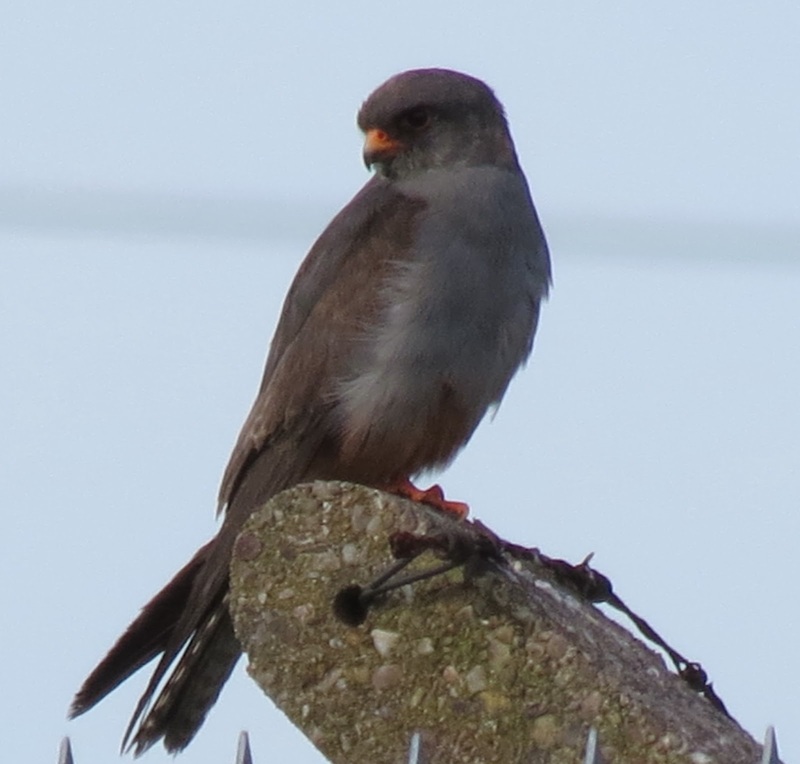 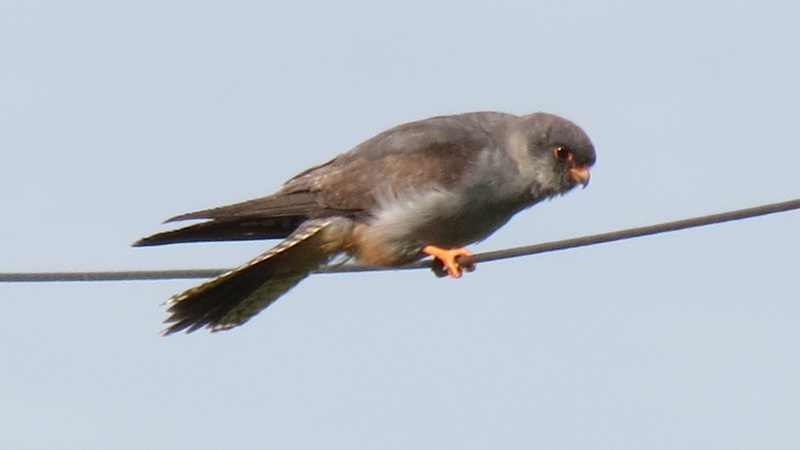 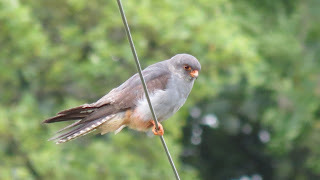 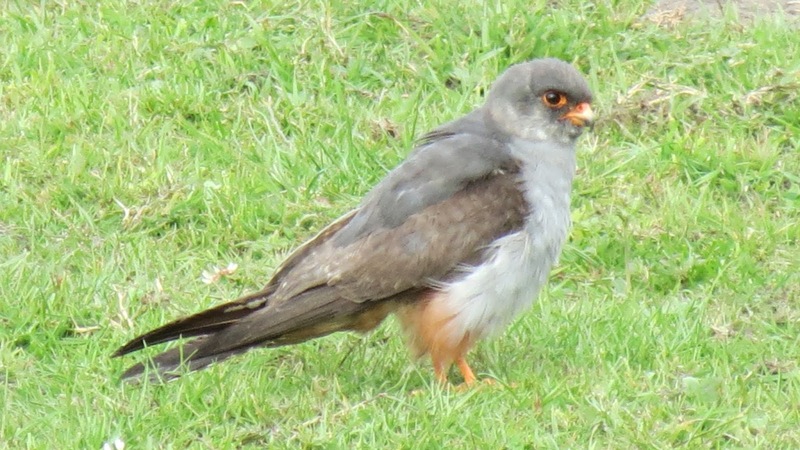 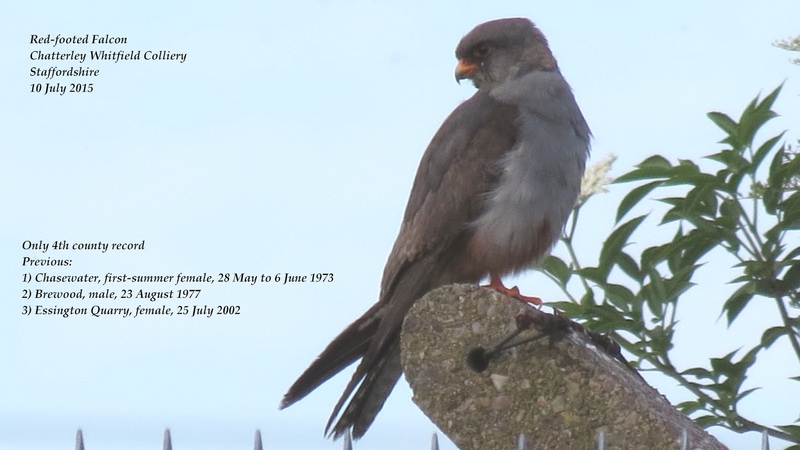 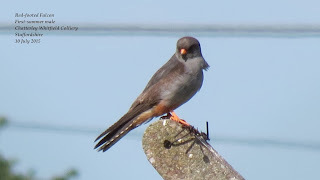 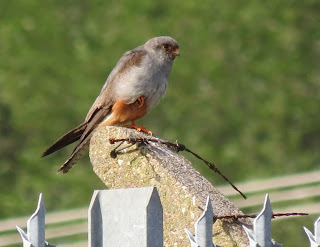 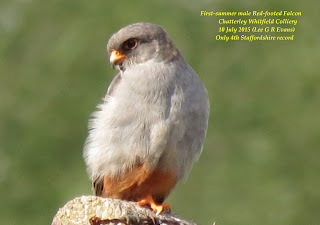 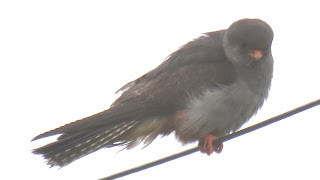 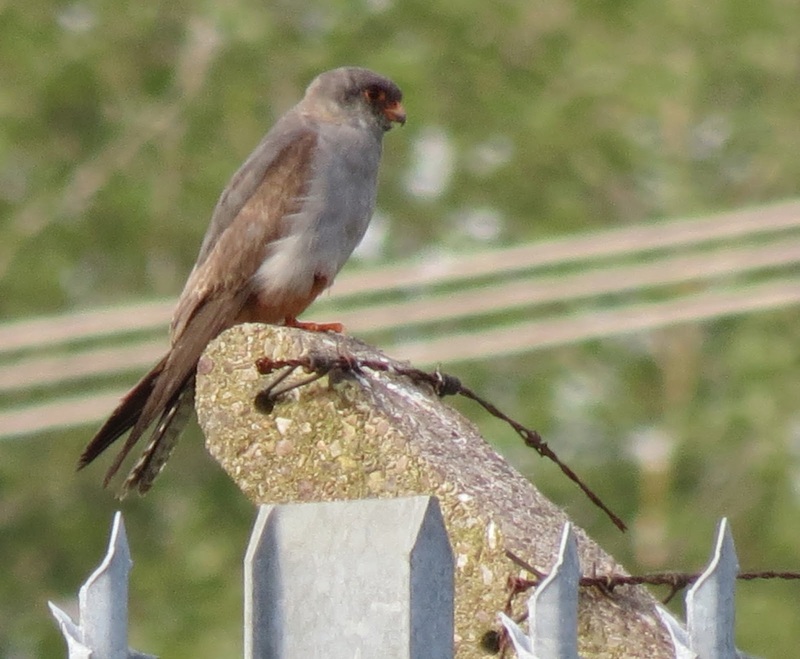 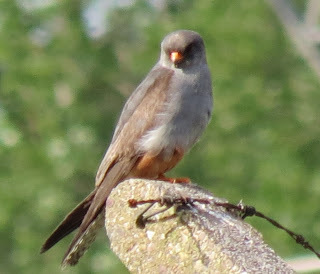 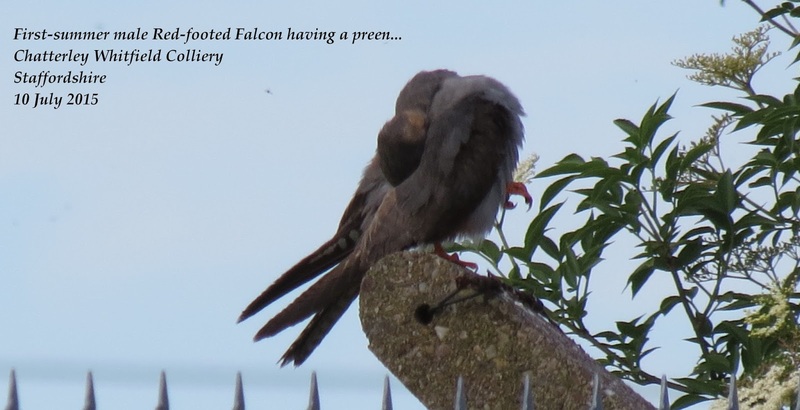 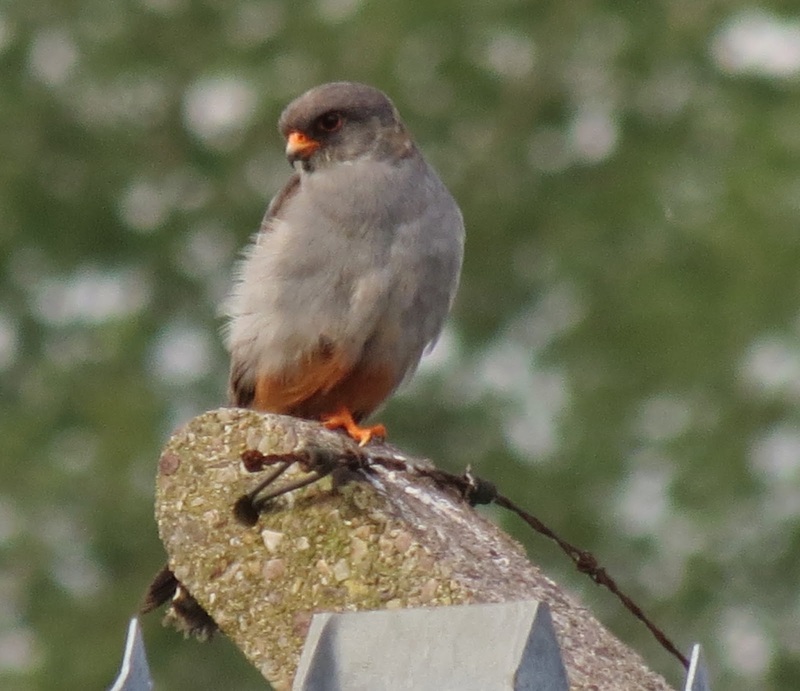 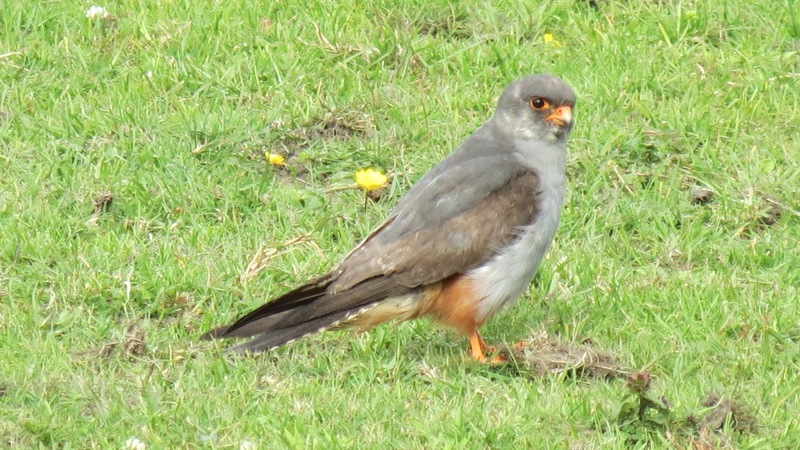 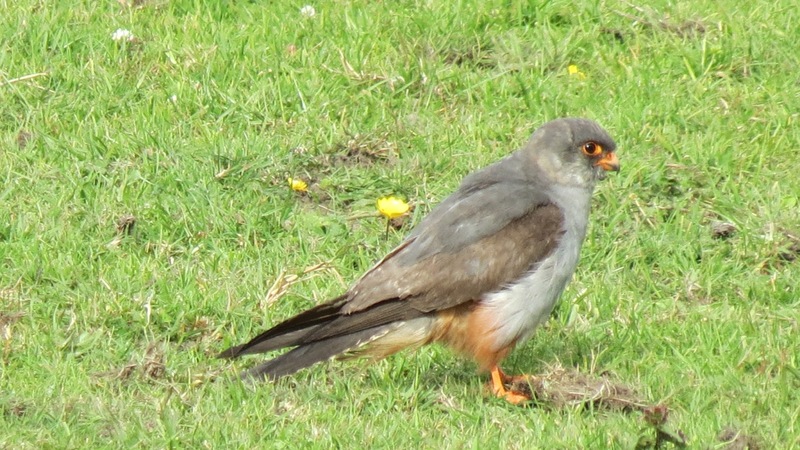 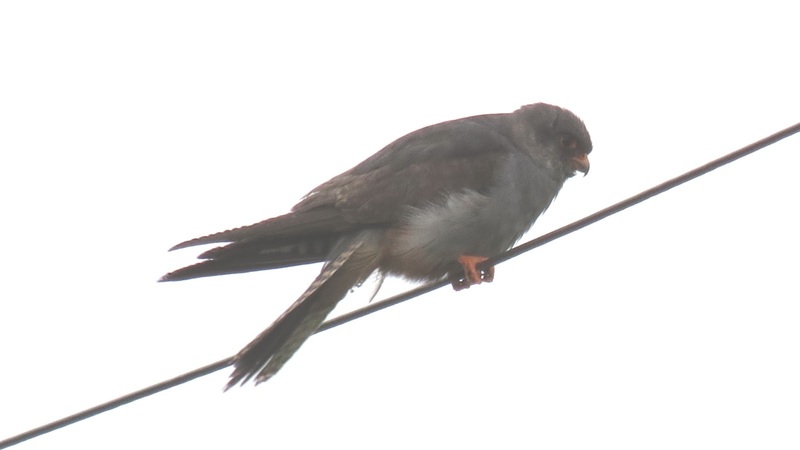 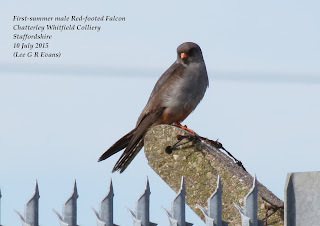 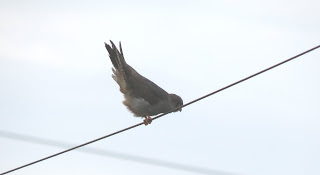 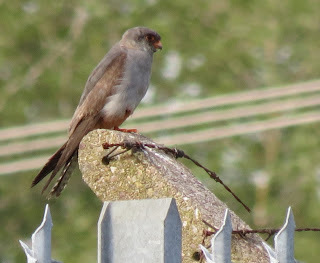 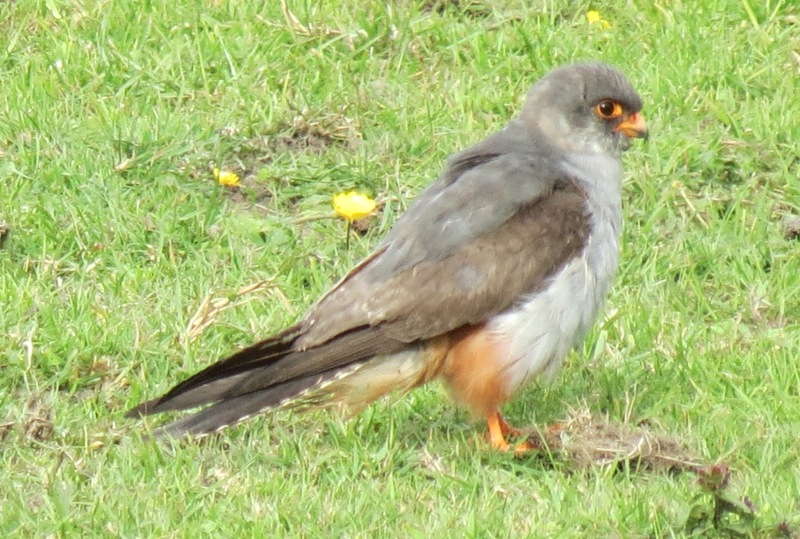 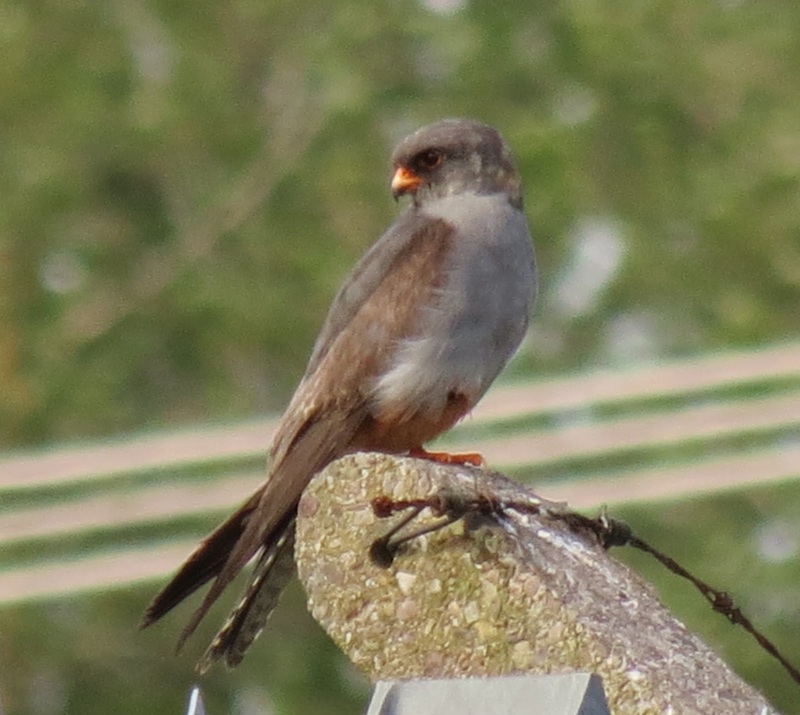 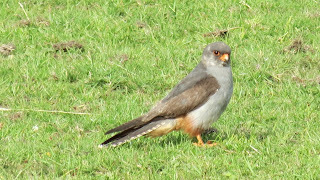 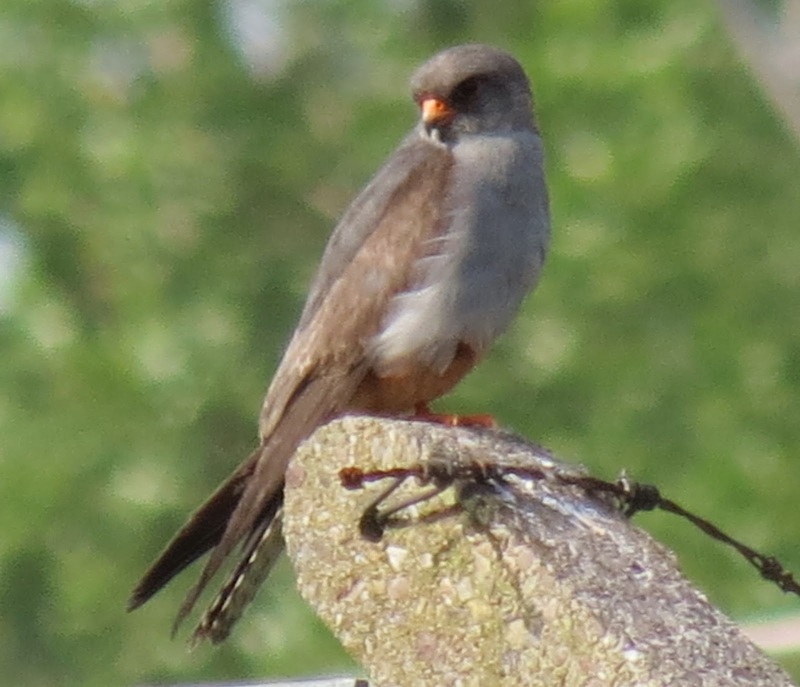 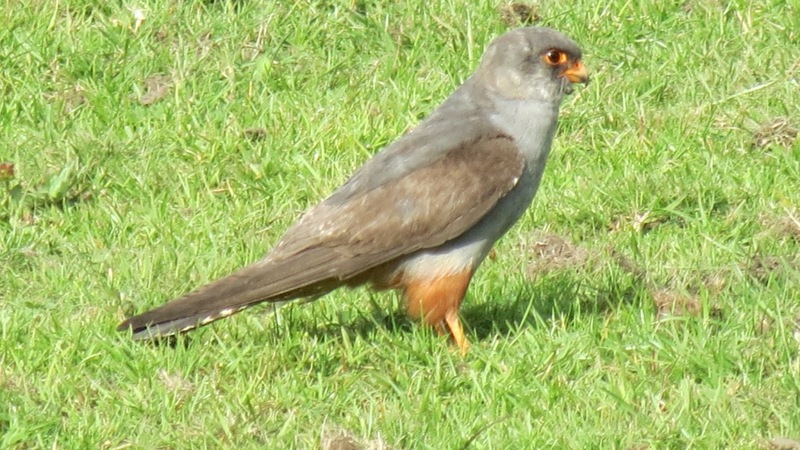 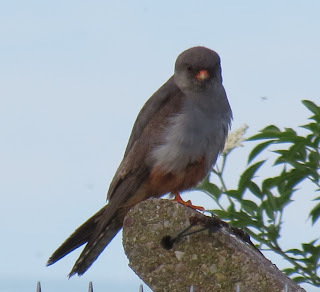 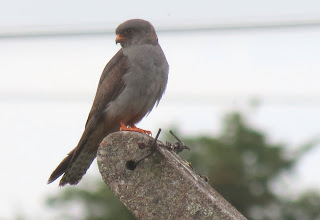 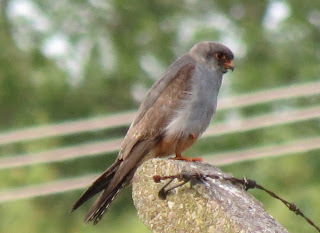 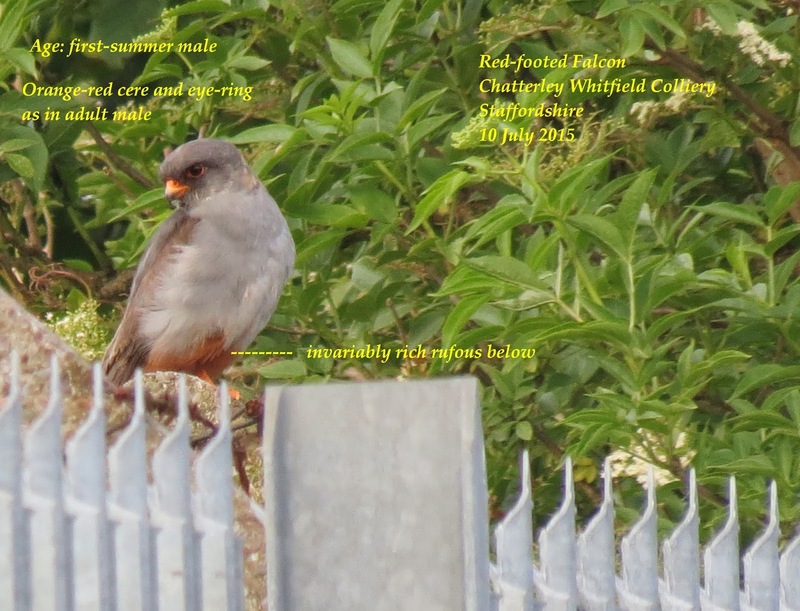 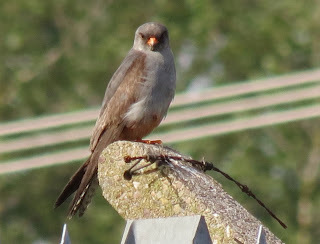 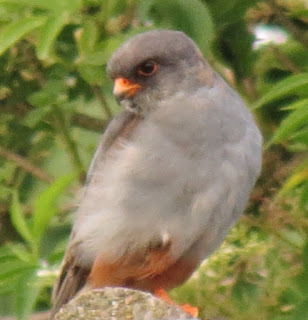 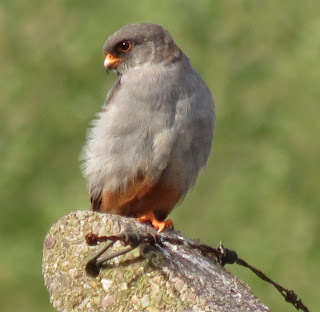 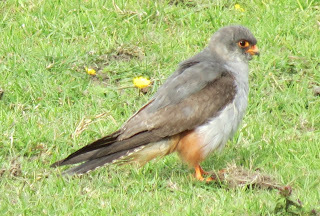 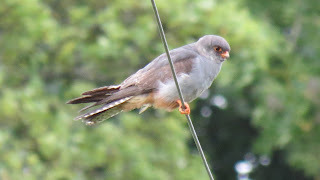 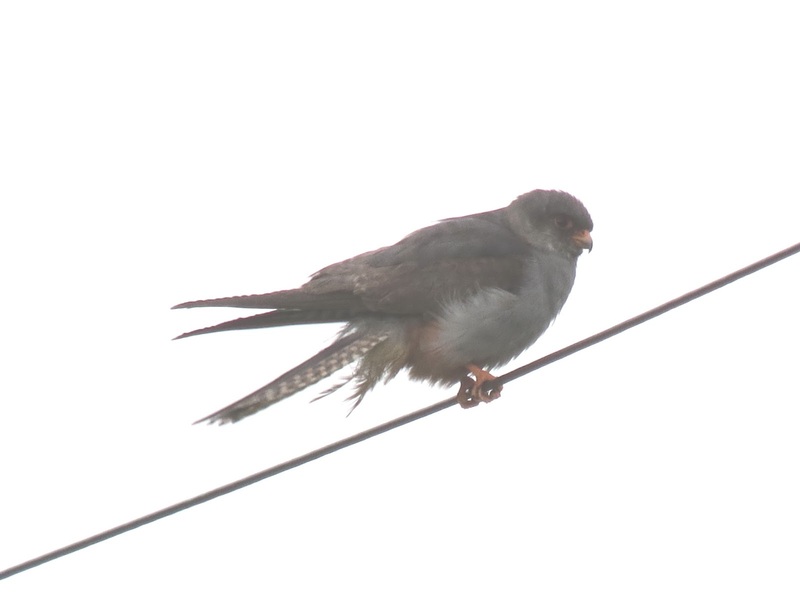 A first-summer male RED-FOOTED FALCON has been present north of Stoke-on-Trent (Staffs) since it was first identified on 9th July. 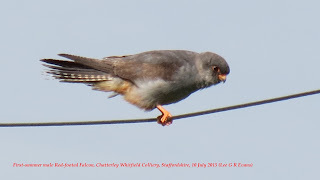 It is favouring a horse paddock to the north of the entrance road to the former Chatterley Whitfield Colliery site just off of the roundabout on the A527 Biddulph Road at SJ 882 534 (SatNav ST6 8UW) and has been particularly confiding throughout its stay. 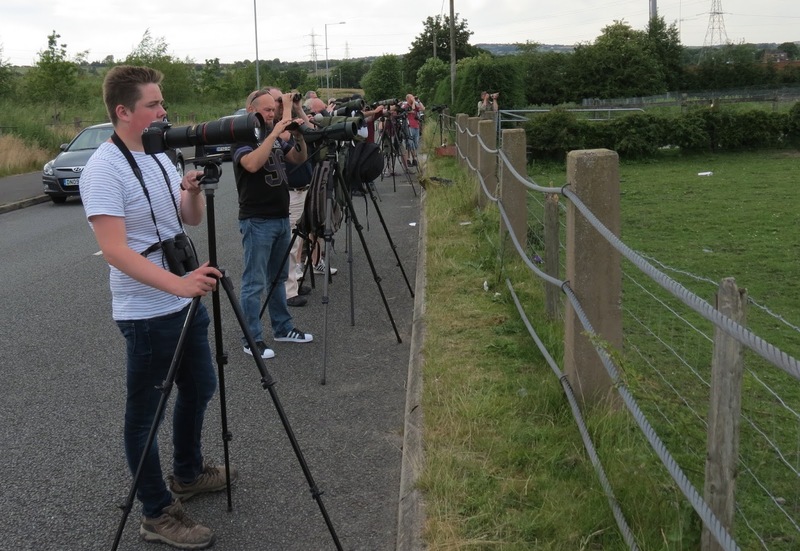 Sadly, visiting photographers began artificially feeding the bird from about 12th (for photography reasons) which had the effect of making the bird almost 'hand tame', consequently attracting the wrong sort of 'admirer' and culminating in the attempted kidnap of the bird on 20 July. 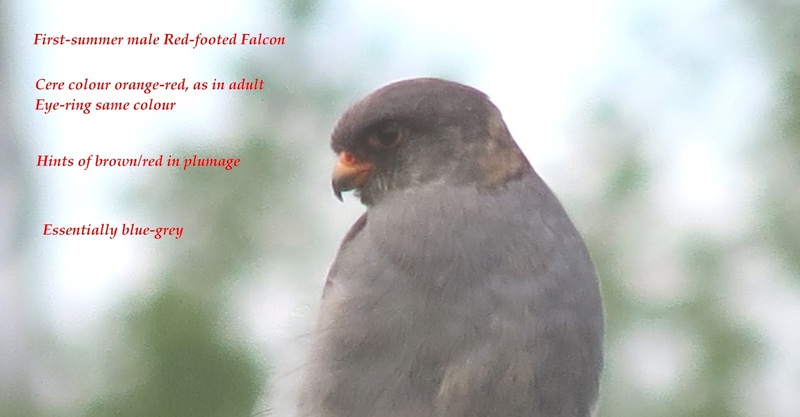 Despite the two perpetrators being identified and disturbed, they returned for a second attempt on 22nd. 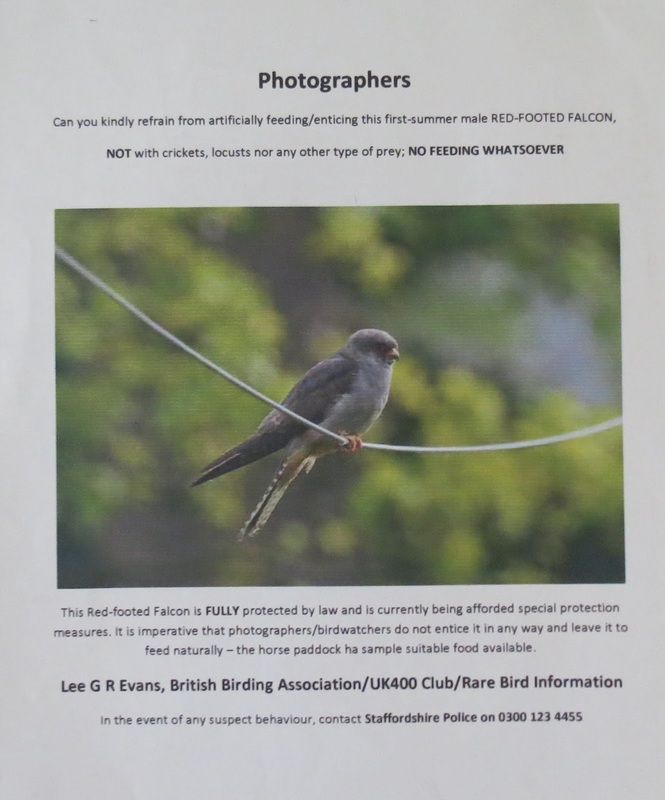 As a result of these illegal actions, it is now ESSENTIAL that no photographers attempt to entice the bird with food - no Crickets, no Locusts, NOTHING WHATSOEVER - and all visitors kindly adhere to the on-site instructions. 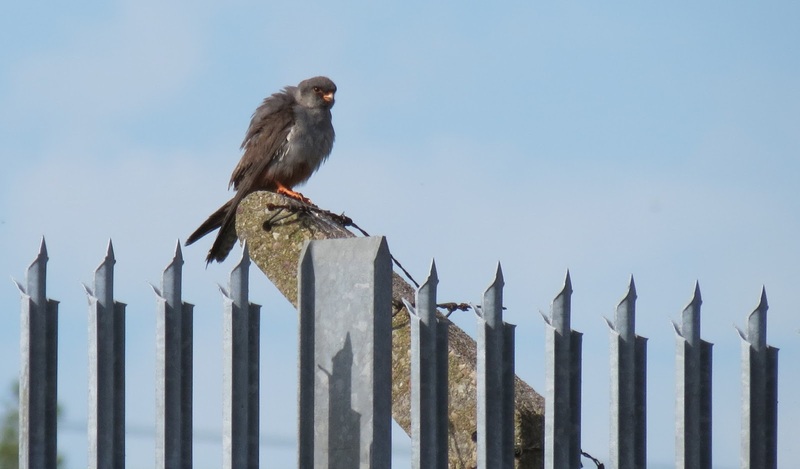 Staffordshire Police were alerted and are now making regular patrols to the site, with Burslem's local police station offering a local Wildlife Liason Officer in attendance intermittently. 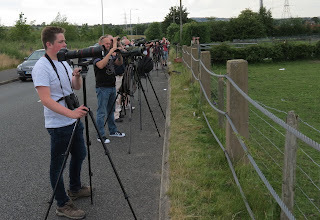 Staffordshire birdwatchers are also on a rotational wardening system. Due to the nature of the perpetrators however, it is inadvisable for any birdwatcher to confront them but to telephone 0300 123 4455 immediately of a problem or 999 should they capture the bird. Peter Hines has very kindly supplied this superb video sequence of the bird - click here https://www.youtube.com/watch?v=NyTWekc8vp8 - showing clearly how capable the bird is at finding natural food on site, of which there is ample. 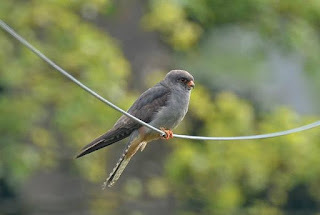 We certainly do not wish to discourage birdwatchers from visiting, the bird being much better protected that you do - it is just that artificial feeding could prove detrimental to the bird's safety and survival. 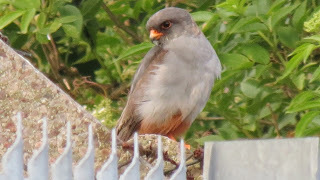 I visited the site on its second day (prior to any feeding) and as you can see from my array of shots below, it performs particularly admirably without any unnecessary encouragement.